Today is the 1st Sunday of Advent. Advent in the liturgical calendar of the church is the season of preparing for the coming of the Lord. But Advent, Biblically understood, is not about Christmas preparations, decorations, or parties. Advent, Biblically understood, is about absence, darkness, and silence. Advent, Biblically understood, is about having a sense of the wrath of God; about facing our sin and our judgment. Isaiah 64:5-7 – You are indeed angry, for we have sinned – in these ways we have continued; and we need to be saved, or -In our sins we have been a long time, and shall we be saved? But we are all like an unclean thing, and all our "righteousnesses" are like filthy rags…for you have hidden Your face from us and have consumed us because of our iniquities. The prophetic cry in Isaiah 64:1 is – ‘O, that you would rend the heavens and come down! Wrath is God’s absence. Wrath is God not intervening in man’s willfulness. Wrath is God leaving humanity on its own. Wrath is a sense of the absence of any goodness, righteousness, justice, love, mercy, compassion, or purpose. Wrath is to look into the heart of darkness of humanity left to itself. At Advent, we do not look away from wrath, we look directly at it. But as Christians – especially because Christmas is Christian – we have to correctly engage the Biblical story that leads us into the deepest longing of the human heart. We cannot grasp what God has done for us until we have had a personal and honest sense of the hopelessness of our condition. Advent, Biblically understood, re-orders our perspective on this world. By this I mean darkness will always be darkness. Darkness does not get converted. We get converted. We see things differently. It doesn’t mean we spend the next 4 weeks all gloomy. It does mean we step above this world – see it in its pain and futility - understanding this is the reality of a world without hope if there is no savior. It is to be confronted by the ugliness and pain of what took place here yesterday. But these headlines are every day. 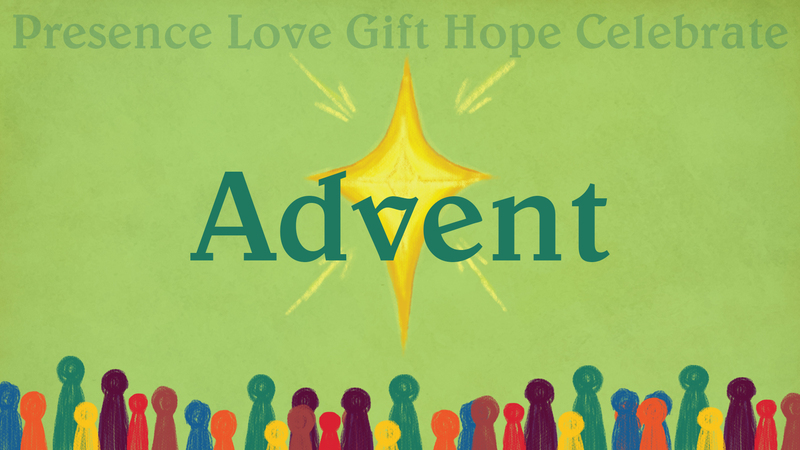 Advent brings us into a story that says the Bible has the final word – the word that sums up all things in Christ. This story is the story that confronts and overcomes all the stories we get from our news feeds. This world cannot save itself. To make it very practical for us. - I get myself into this setting every Sunday because I need to orient myself to the world of Scripture. - I need to do it so that when an unbelieving person wants to know what orients my life I can say I gather with a people every week and we, together, orient ourselves to the God of the Bible. If someone without a hope asks me what is my hope, I will not only tell them my hope is Jesus Christ, I will tell them my hope is found in this Church – a place of people who know they are sinners but who have found forgiveness, and hope, and joy. Let me remind us, we still have Good News to proclaim. In this present darkness, we have seen a great light. The Bible that we read – this Advent, Christmas, Easter story that we tell – it must be told again and again and again. It must be told before an unbelieving and sin-filled world. We are called by the Lord to be Advent people preparing the way of the Lord.